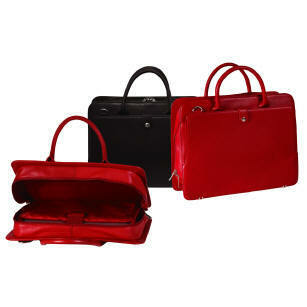 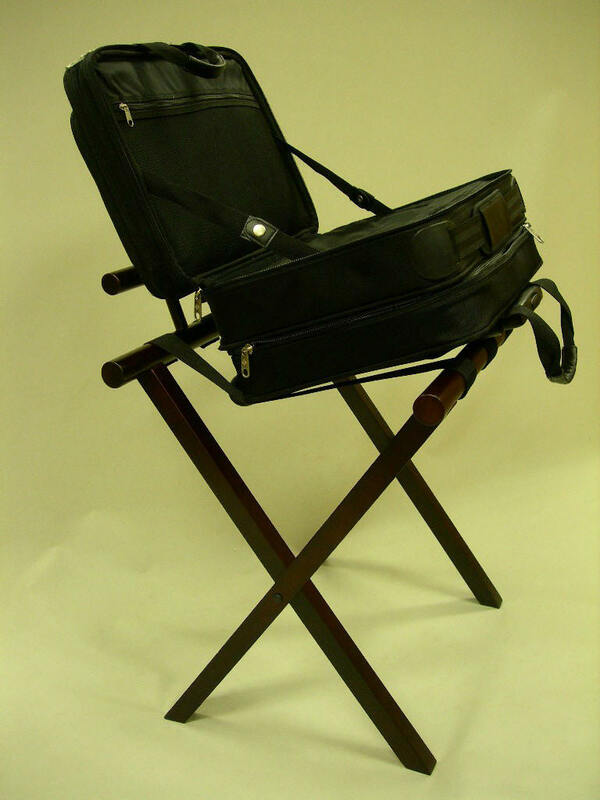 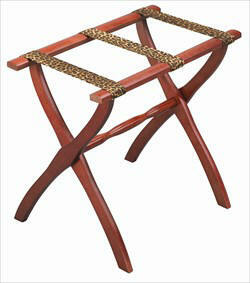 Luggage Racks with Style ! 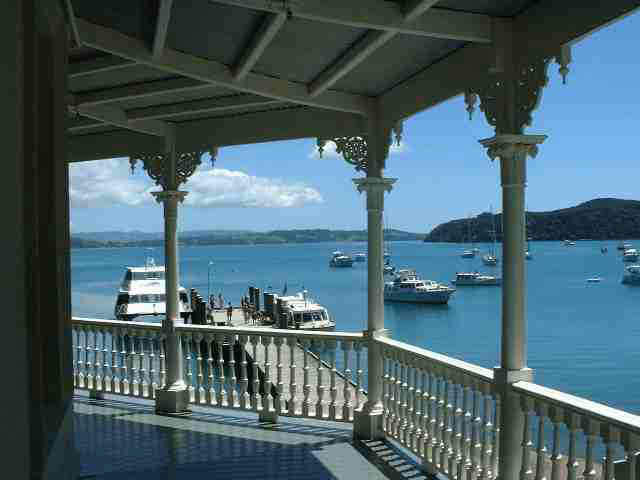 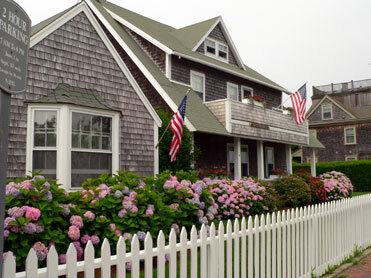 ......or Vacation home! 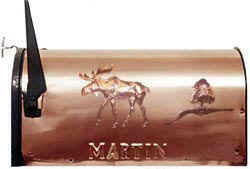 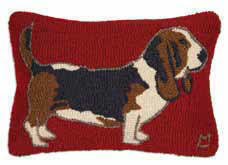 Great for gifts for someone who has everything ! 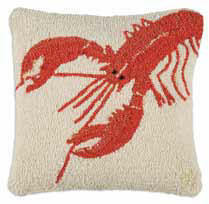 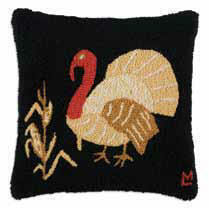 Terrific for housewarming gifts and Bridal Shower. 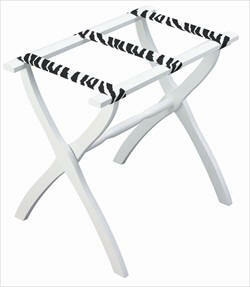 Very easy with our "Direct Ship". 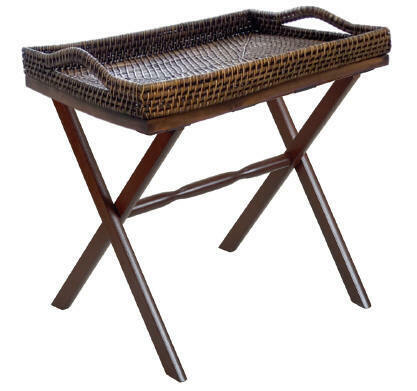 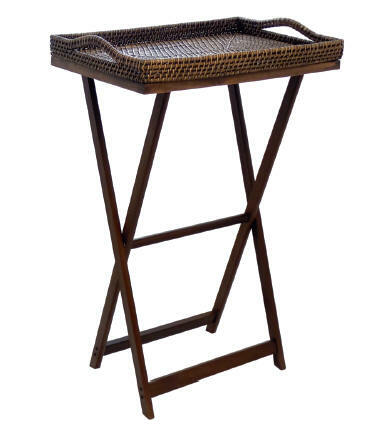 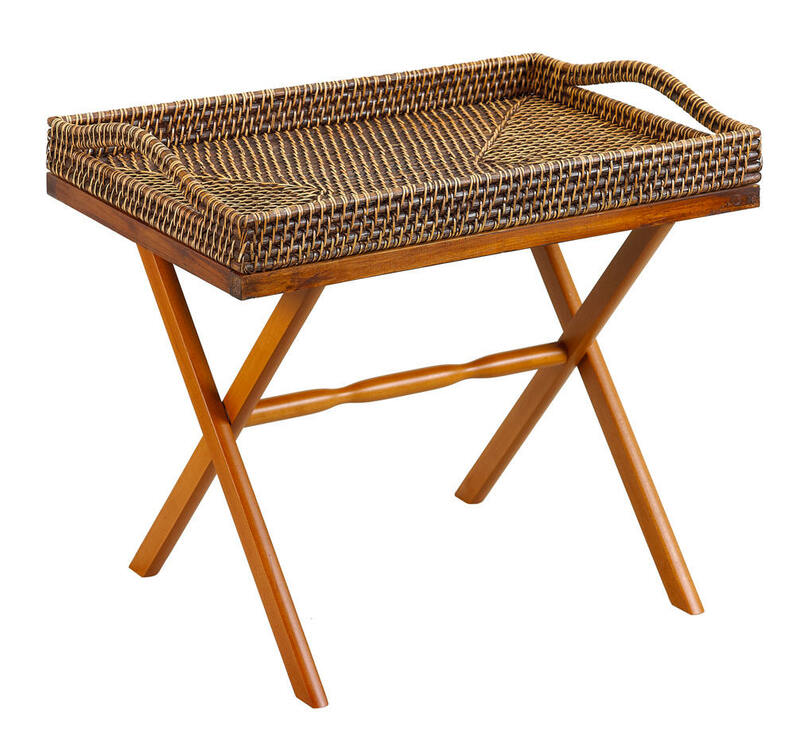 Don't miss our Rattan Collection with its Tall Serving Tray..........perfect for a mini-bar set up ! 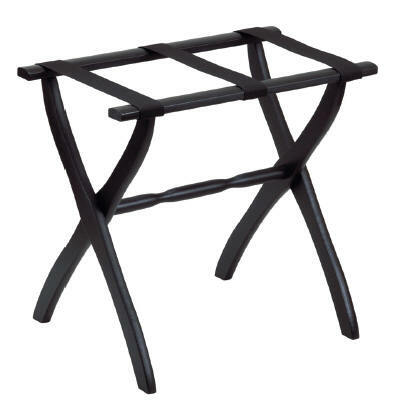 We also think that our racks make a terrific side table or coffee table when topped with a tray............the High-gloss snack tables will also work as side tables. 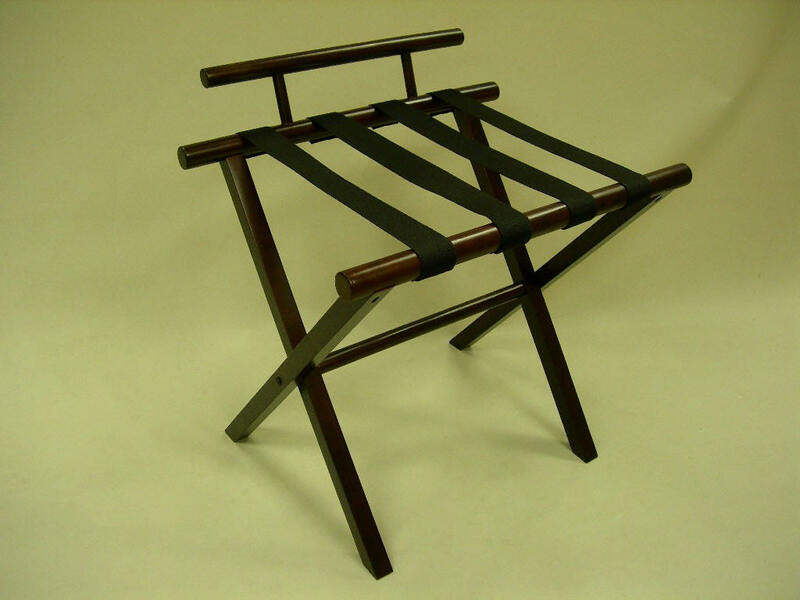 A great idea for big-city flats and people on the go. 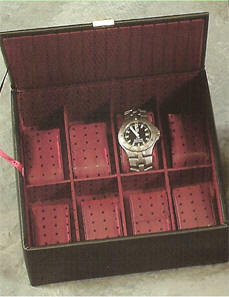 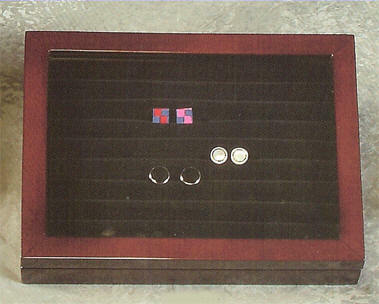 Serving trays to top racks sold at bottom of page. 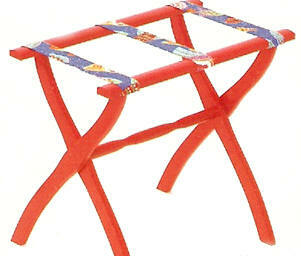 So--these are not JUST luggage racks ! 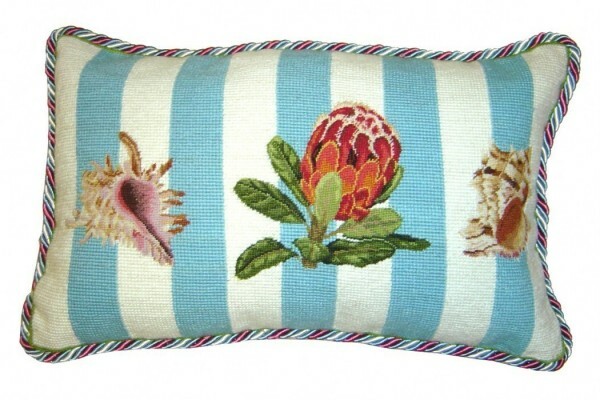 Please allow at least 3 weeks for delivery. 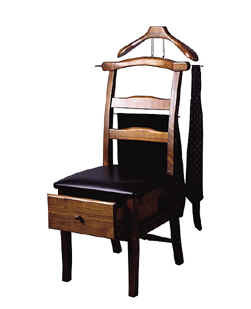 Expedited shipping not available. 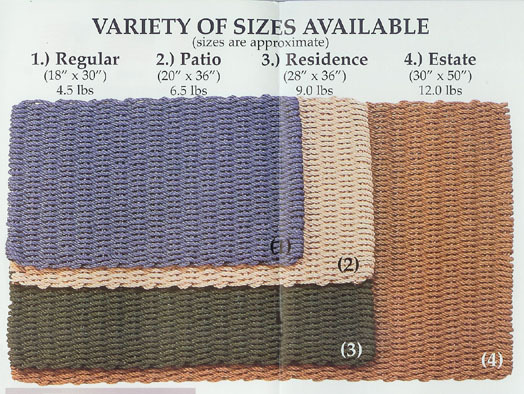 These are made up just for you and are a Custom order. 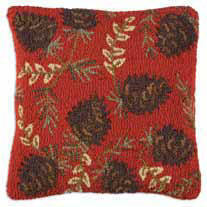 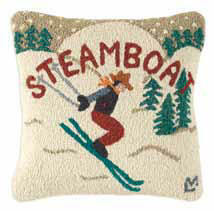 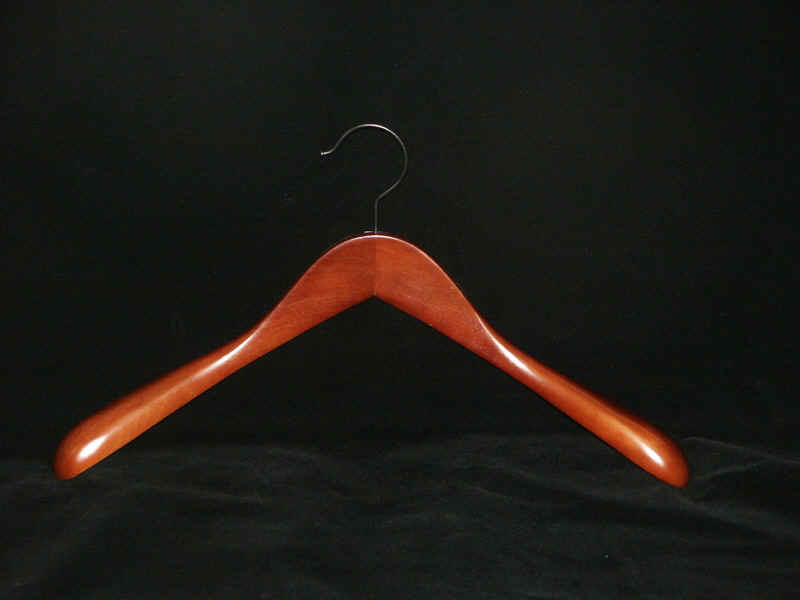 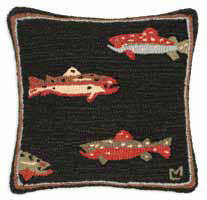 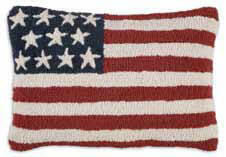 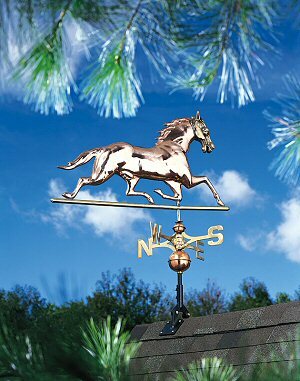 The perfect addition for mountain cabin, lakeside retreat, ski lodge, Villa or beach house. 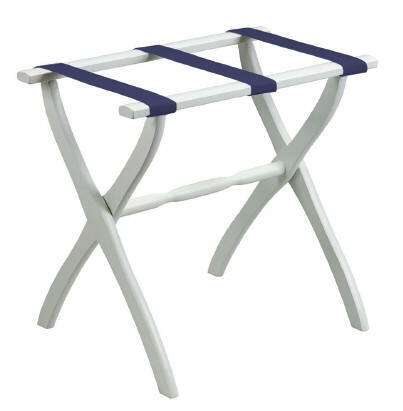 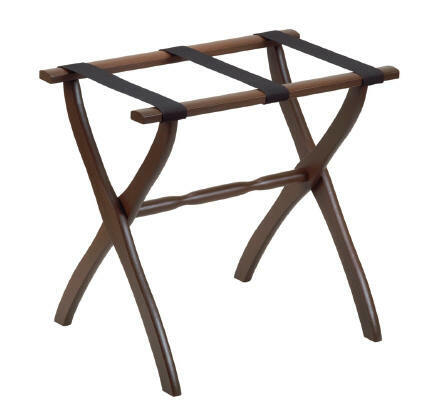 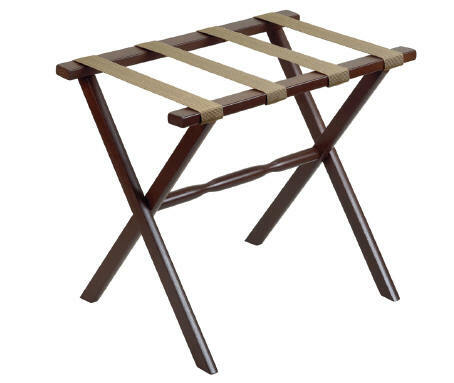 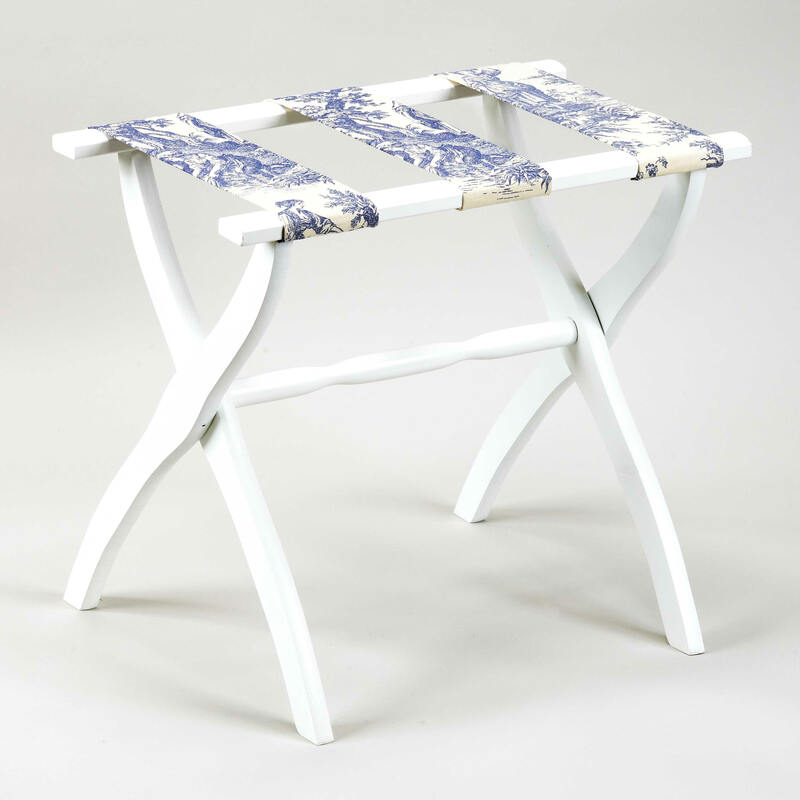 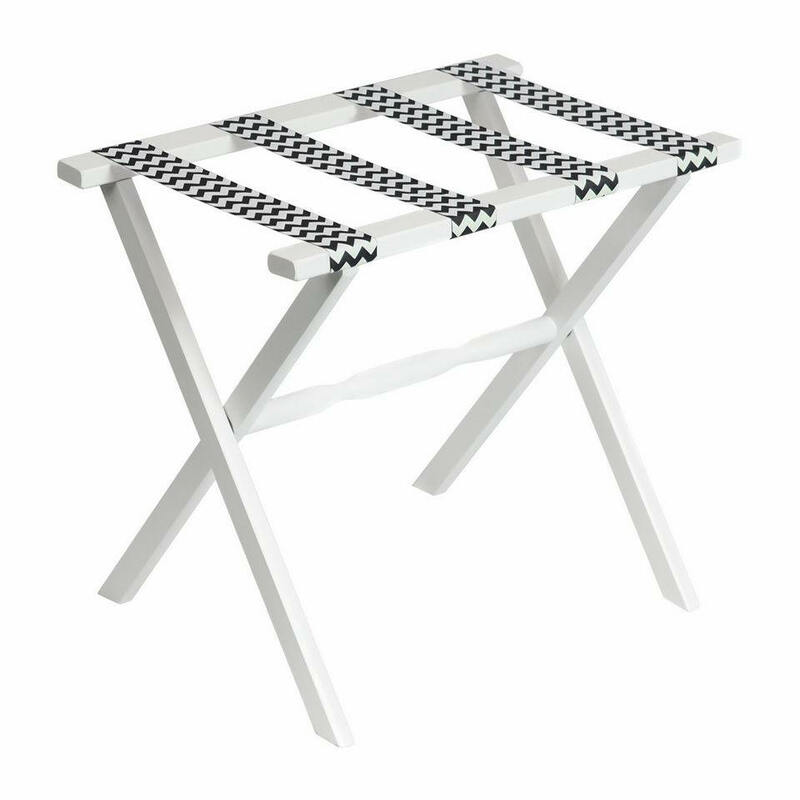 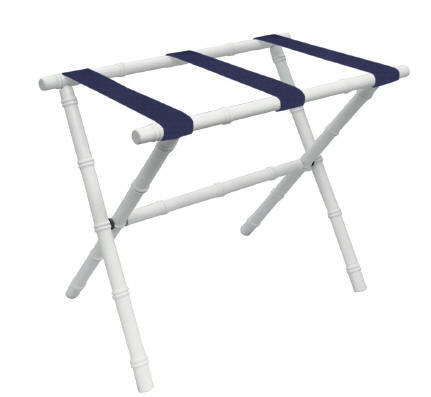 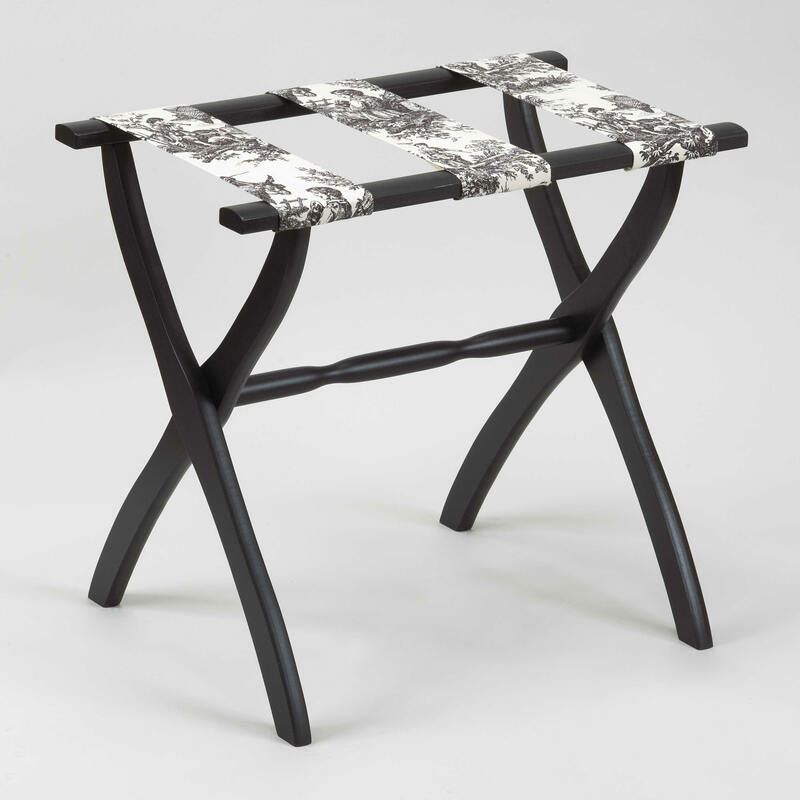 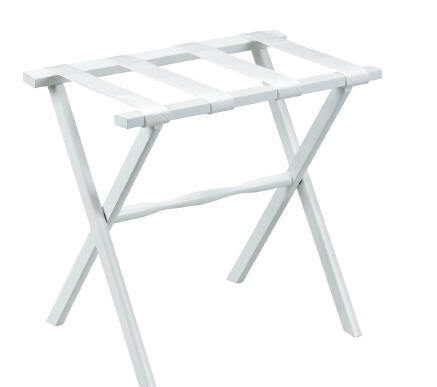 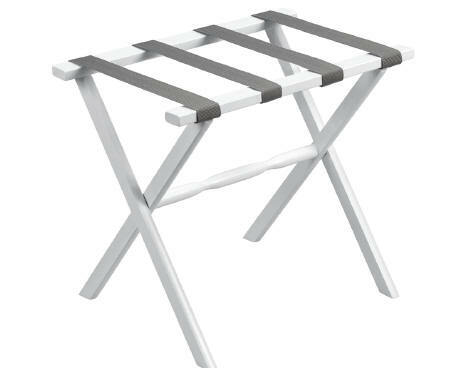 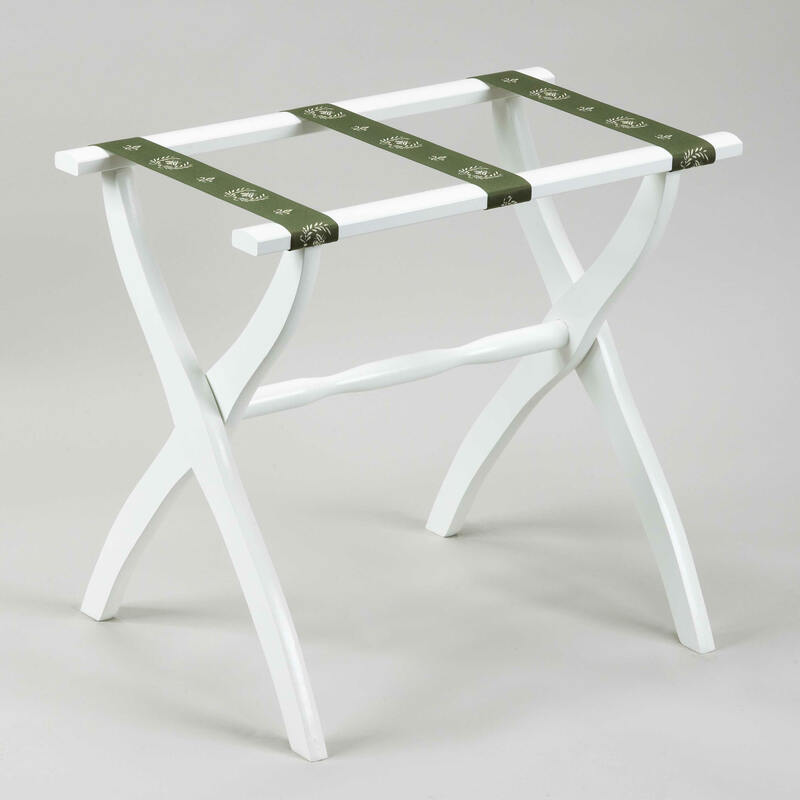 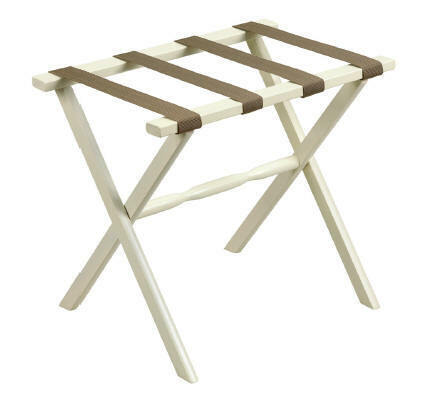 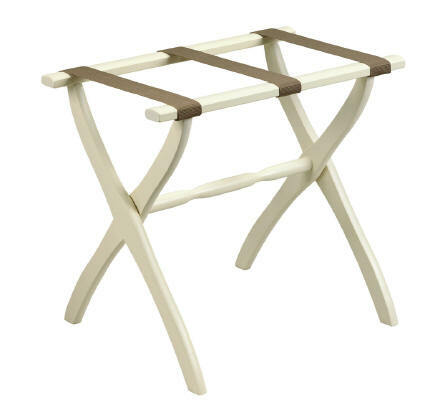 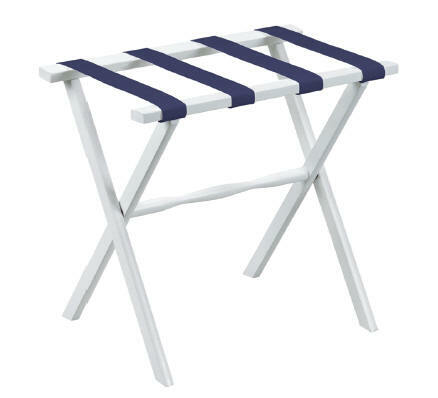 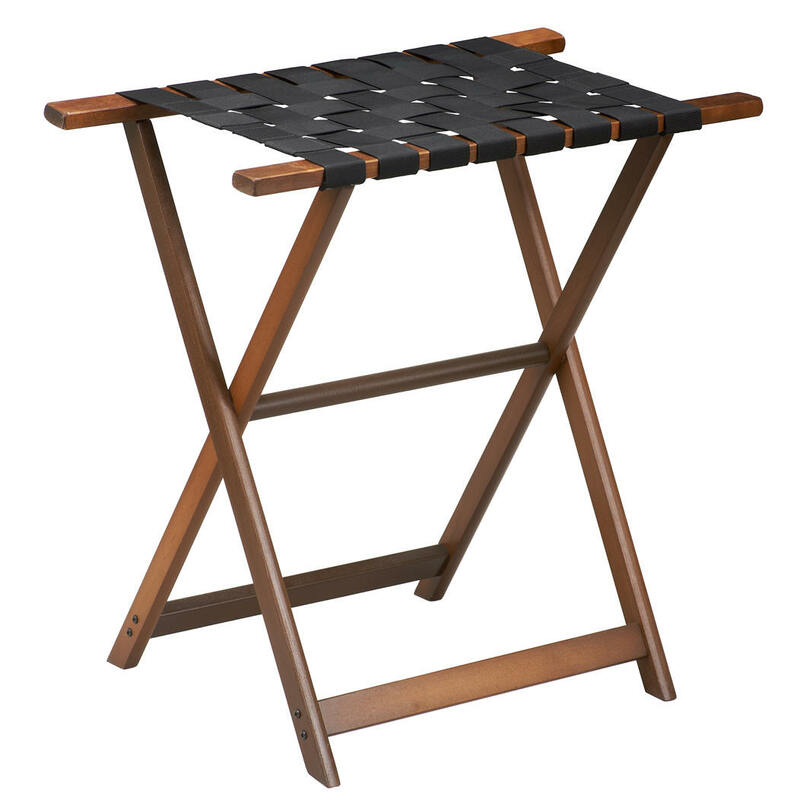 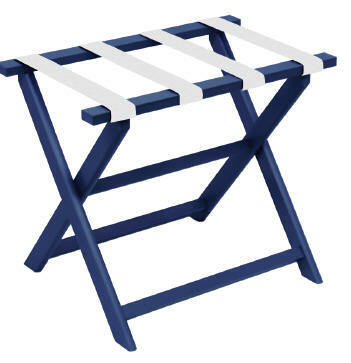 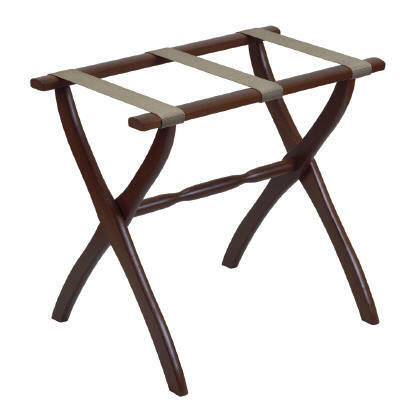 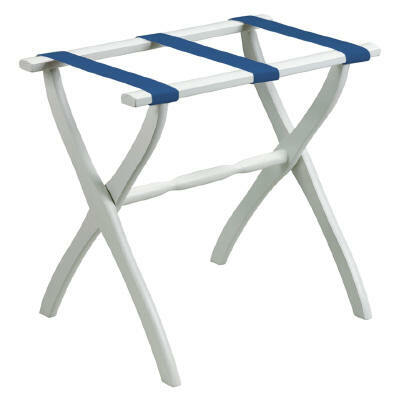 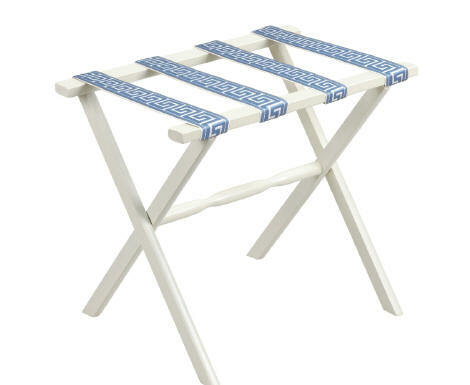 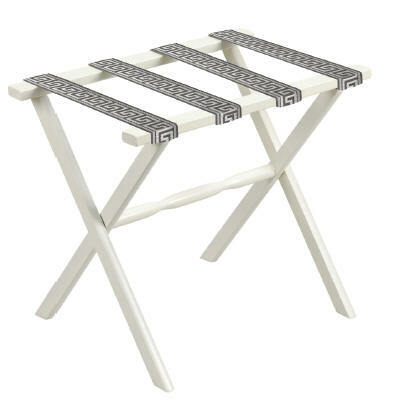 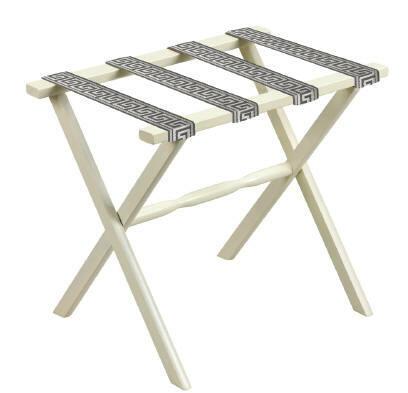 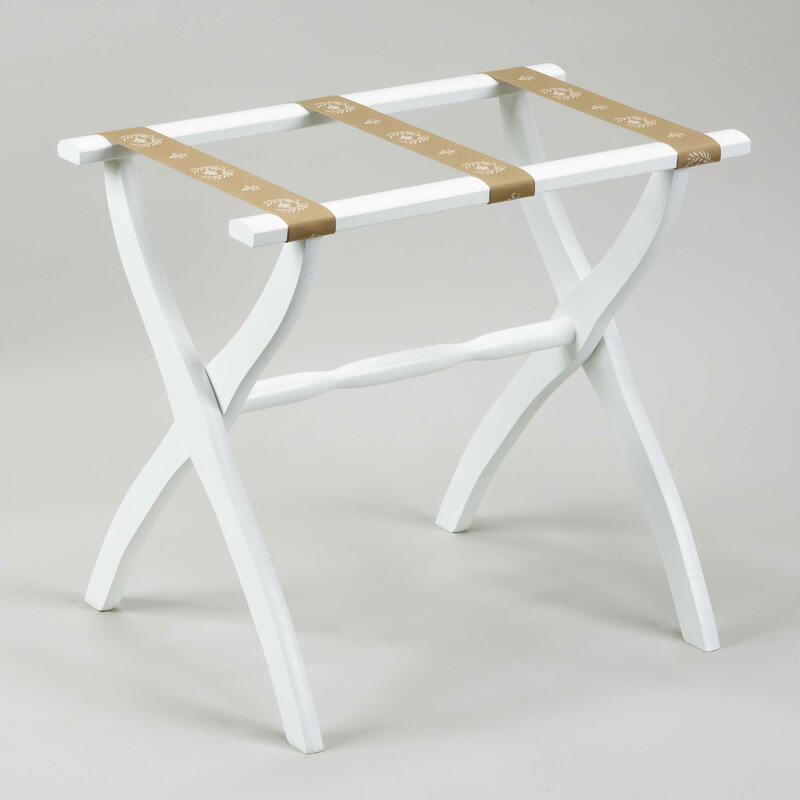 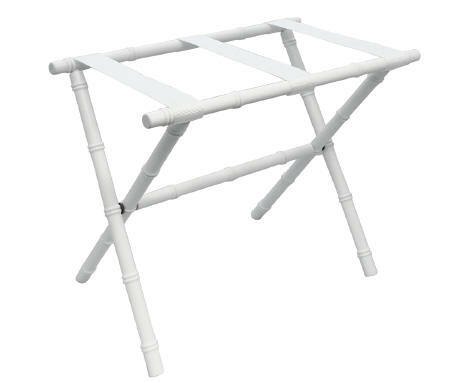 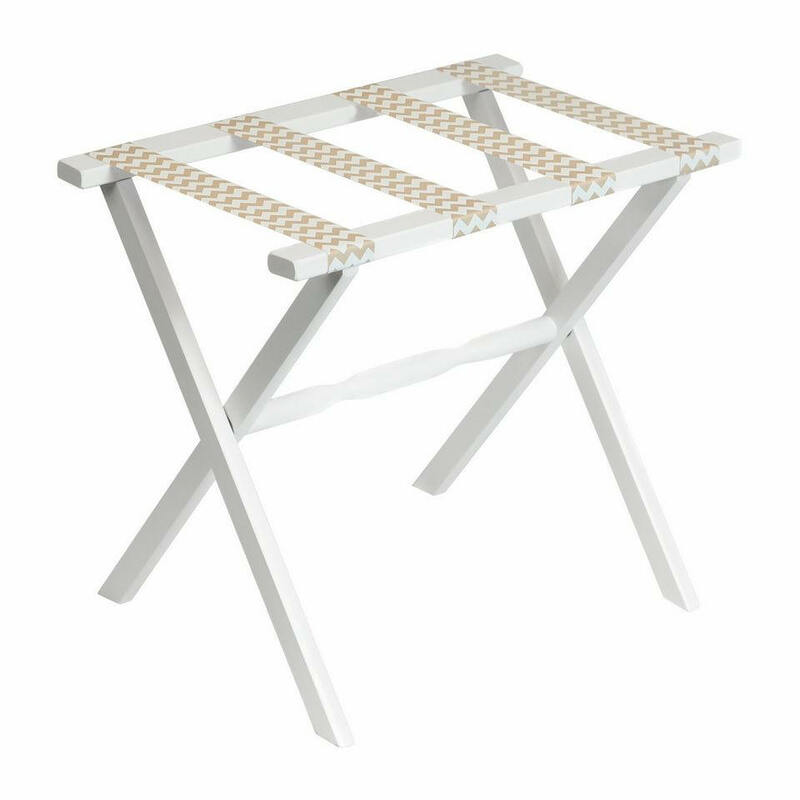 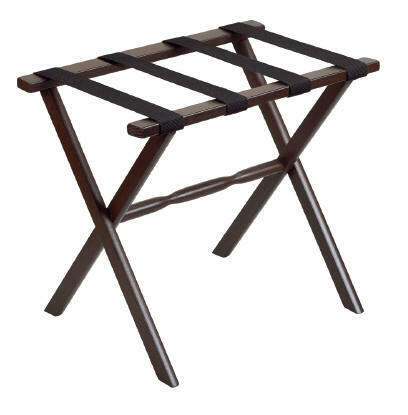 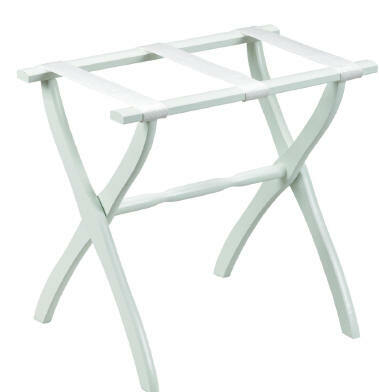 Turn any luggage rack into a coffee table or side table with our serving tray ! 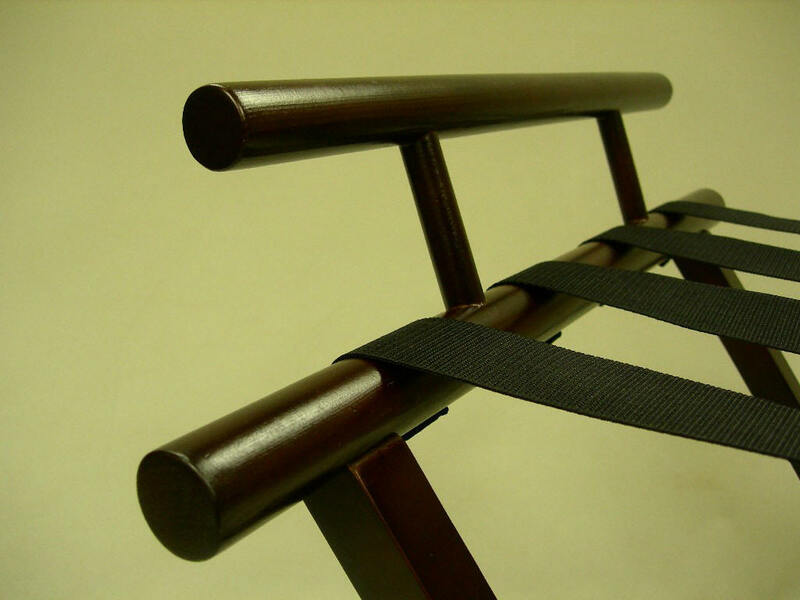 Protects your walls and reinforce your suitcase with back railing. 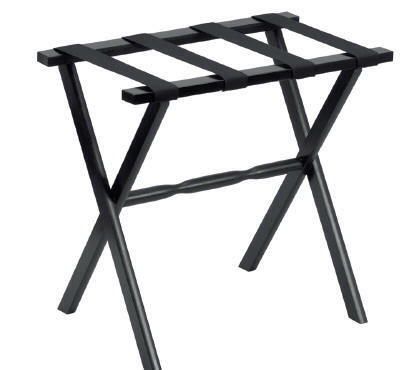 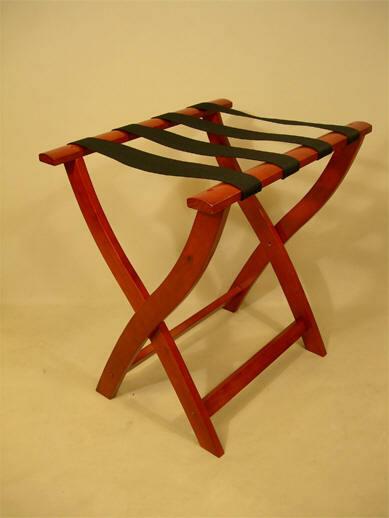 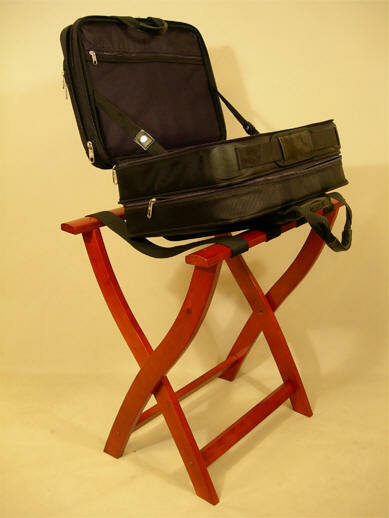 Luggage Rack with Backing, black strip. 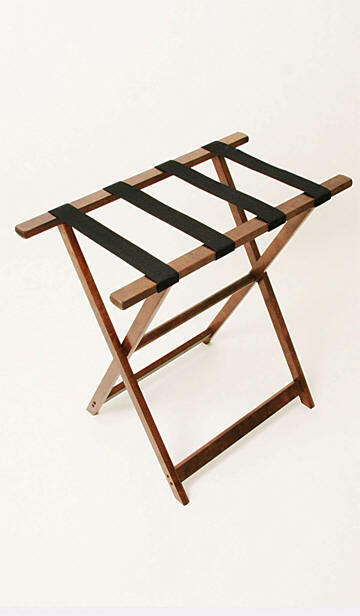 Luggage Rack with black strips. 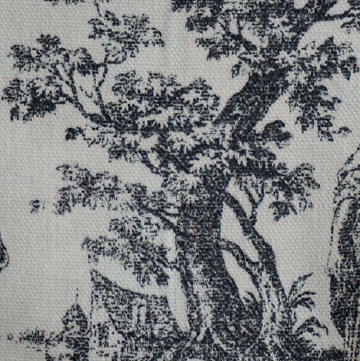 Please note that each Toile strap is unique ! 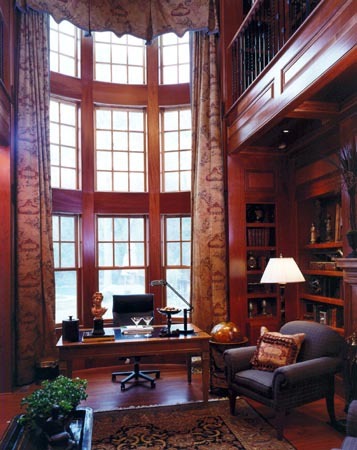 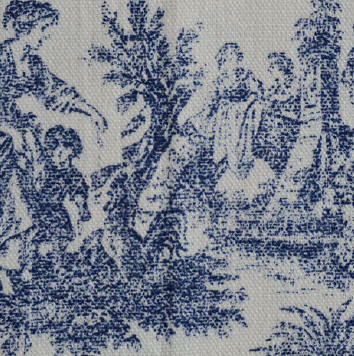 Patterns vary....and is considered "part of the charm" of Toile. 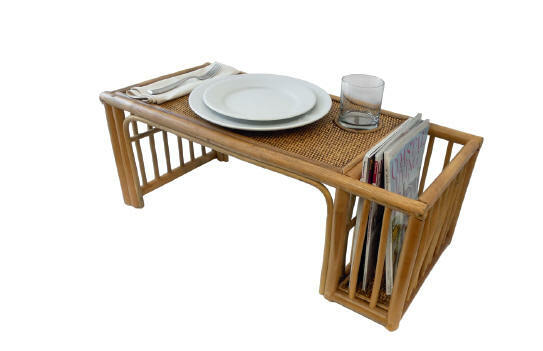 Great as a side serving table ! 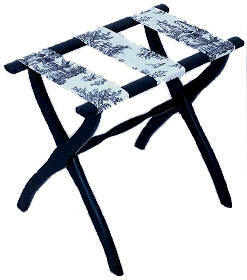 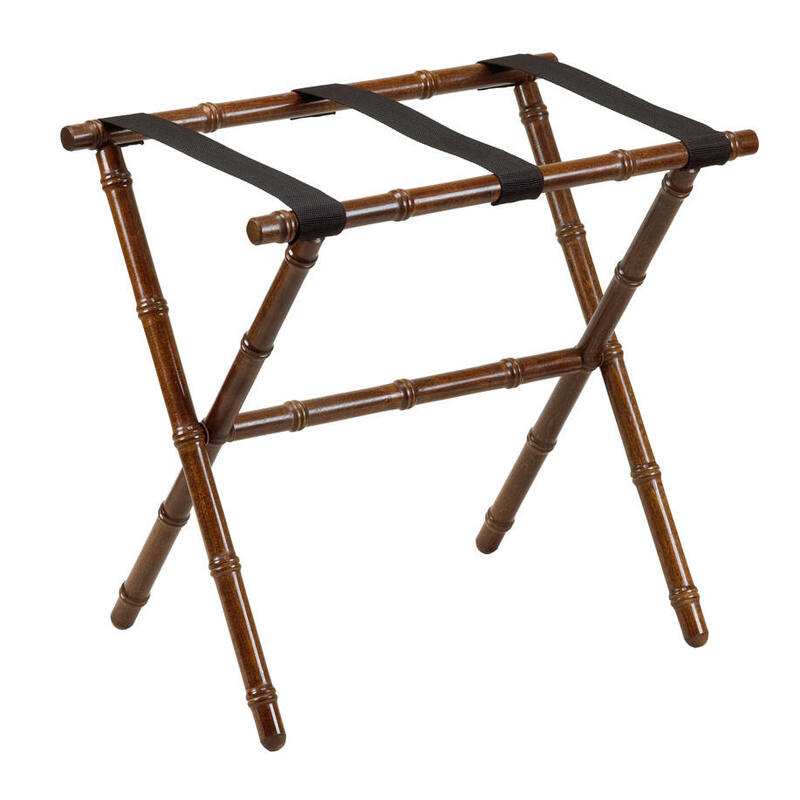 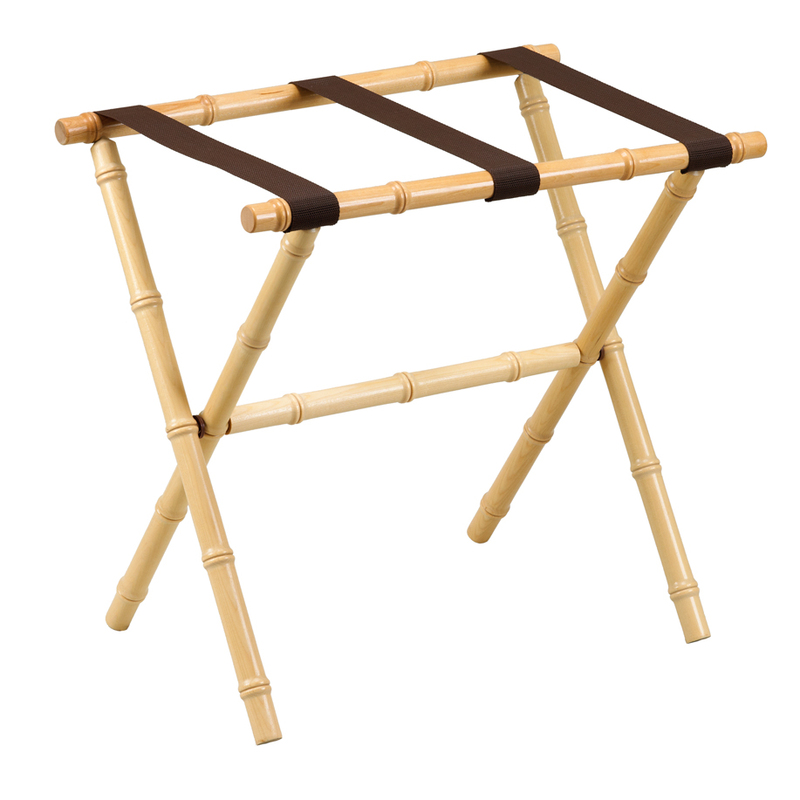 Luggage Racks with Island Style !